The Utah-400/TC is a 64×64 router designed for transporting timecode data in conjunction with the audio/video signal routing layers of a Utah-400 digital routing switcher system. Each 3RU frame carries a single switch card that serves 64 input ports and output ports. A high speed data bus can be used to connect up to four Utah-400/TC frames to form larger routers with up to 256×256 ports. 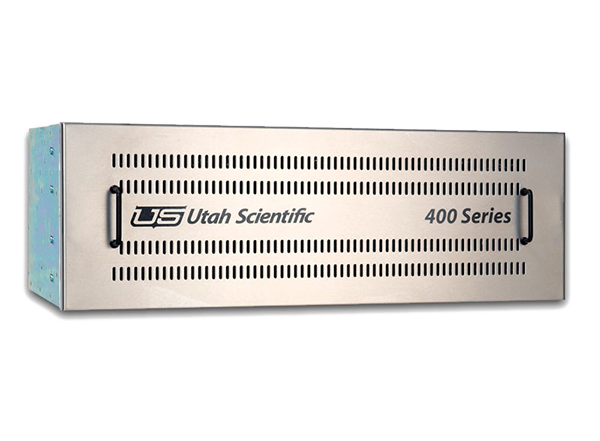 As with all other routers in the Utah-400 family, the Utah-400/TC comes standard with dual power supplies. 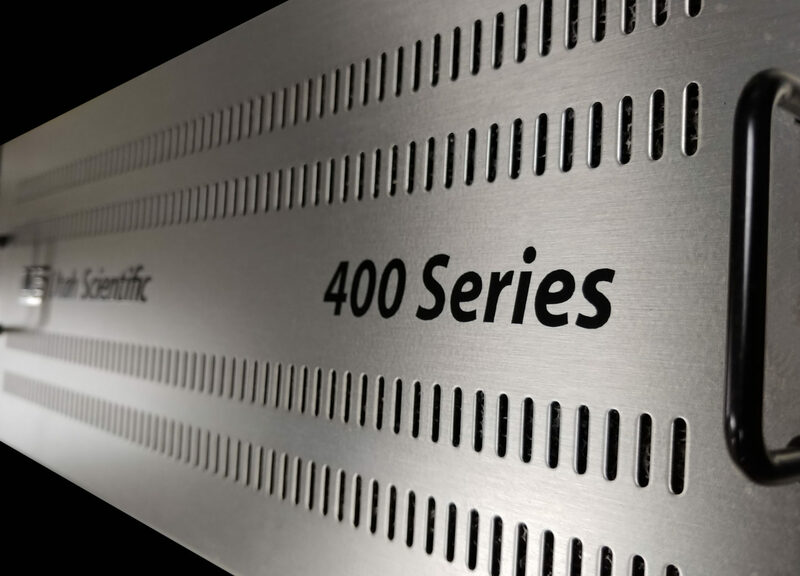 The Utah-400/TC router is controlled by the same MX-Bus control system as other Utah-400 frames allowing it to be utilized with any SC-4 or SC-400 control system. The Utah-400/TC router’s I/O connections are carried on terminal strips for easy cabling using standard audio cable. The connector pin-outs follow the normal (+/-/Gnd) pattern for balanced three-conductor wiring. Unbalanced connections are also supported.